Well nothing, s/he just reads this article and learn the many ways he can use to download Flash videos. 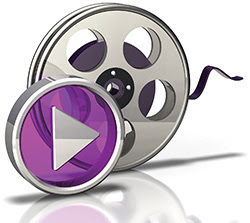 Web's Video Format: Most websites use the FLV( Adobe Flash Video) format to display the various types of videos. The reason for this is that FLV files use comparatively less amount of storage space for the same video quality. How to Play Flash Videos: To play FLV media in browsers, you need to have Adobe's Flash Player plugin installed. To play FLV formatted videos in your PC, you need to have a media player capable of playing FLV videos. VLC Media player is one such free media player which can easily play FLV files. (To download VLC Media Player and other essential software, visit 5 Essential free software for Windows PC.) Update: Not necessarily, modern web browsers that support HTML5 can play Flash videos by using the new HTML5 players. Play the video of your choice in Internet Explorer. Go to Control Panel. Click on switch to classic view in the sidebar. Click on View Tab and encircle "Show hidden files and folders". Click on Documents and Settings. Copy your Temporary Internet Files folder and paste it to your desktop. Search the pasted folder for "*.flv" without the quotes. And play the files to find your video. Copy your found video and paste it to the location of your choice. Click on View Tab and encircle "Show hidden files and folders", de-select "Hide protected Operating System Files" and de-select "Hide Extensions for Known Filetypes". Windows XP Users, follow the instructions given above for IE6 after Step 5. Windows 7 and Windows Vista users, navigate to your system drive. Add "Low\Content.IE5" to the location in the address bar. Opening those folders would display a security message. Click Yes. Then copy the found video and paste it to the location of your choice. You can also copy those folders and paste them to your desktop. This will enable you to search them easily. 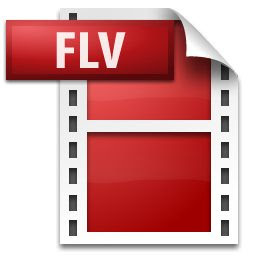 Downloading FLV Videos via third party software: Due to the popularity of watching videos online, many third party companies have manufactured many software programs to download Flash videos. A simple web search containing "free software to download Flash videos" is likely to return a lot of such software. Downloading FLV videos via Real Media Player: Real Media Player states that it is the best free media player available to play, manage and download all your mp3, flash and video files. I do not quite agree but still, Real Media Player offers a very good plugin with which you can download FLV videos easily. Whenever Real Media Player detects a flash video, it offers an option to download the video right on top of it. Downloading Flash Videos in Mobiles: Android mobile users can use any of the several video downloading apps available on the Google Play store. Third Party Websites to Download Flash videos: There are many free third party websites on the internet which offer you to download FLV videos just by entering the URL of the video, selecting the format and clicking on the download button. Keepvid is one popular option that allows you to download Flash videos in a wide variety of formats including .MP4, .3GP( high and low quality) and yeah, .FLV format. It also supports downloading via mobiles. So, that brings us to the end of this article. If you know some other ways to download Flash videos, feel free to send me an email and they will be included in this article.